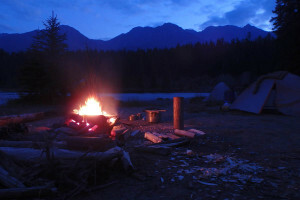 Club member Troy Klewchuk spent a couple of weeks over the summer canoeing in the Canadian wilderness. 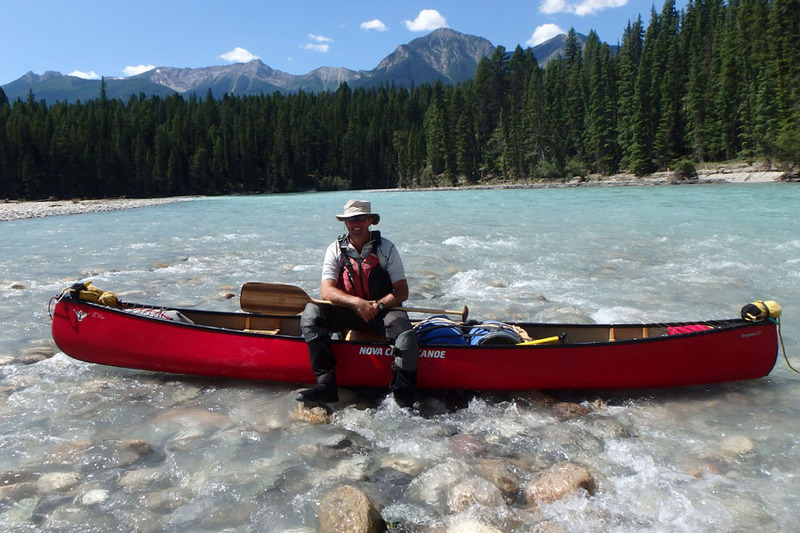 When he returned, we caught up with him to ask him about his experiences and if canoeing in the land where the canoe was created lived up to his expectations. 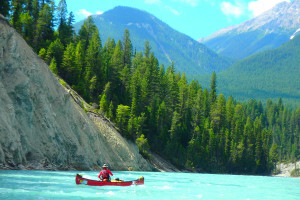 Troy paddled 3 different rivers in British Columbia and Alberta. The trip included two wilderness expeditions, each of 4 days and covered nearly 200 km of river. 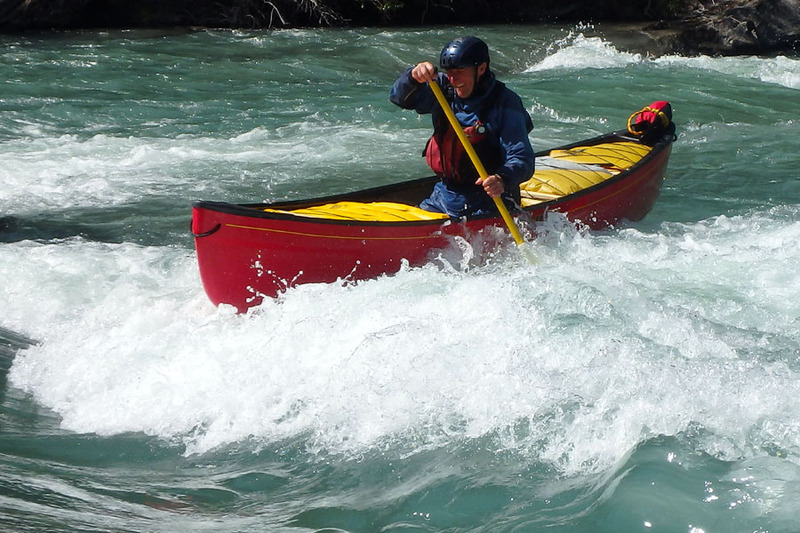 He also had a couple of days paddling one of the best white water rivers in the area. Where did you base yourself for the expedition? We flew into Calgary from Heathrow and travelled onto Cochrane, a small town a couple of hours north of Calgary. This would be our base for a day or two to prepare the boats, organise supplies etc. How did you source the equipment and boats? There are lots of outdoor shops in Calgary where you can hire and buy everything you need. It takes a bit of research but someone else was doing all the organising so it was great just to turn up and be part of the group. Did you hire a guide? No, a couple of the group had been there before and had paddled the rivers in the past. We had the Canadian River Guides and lots of information from the internet. There were also lots or 4 and 5 star paddlers on the trip so we were pretty much looking after each other. I think any group of experienced paddlers could paddle these rivers without a local guide. What rivers did you paddle? The first day was spent on Kananaskis River getting to grips with white water rescue techniques. 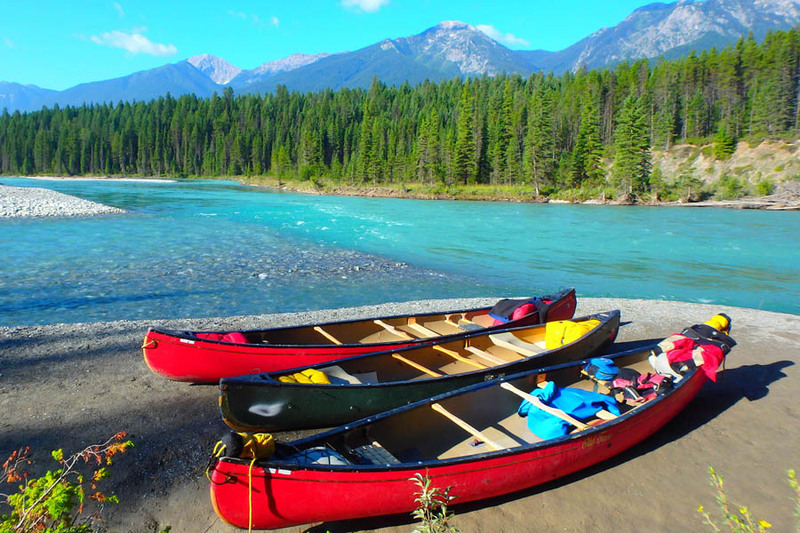 The first expedition was on the Kootenay River in British Columbia. The views were spectacular as we paddled the turquoise glacier fed water with mountains and pristine forest all around. This trip covered over 100 km over 4 days. We had a day to reorganise before heading back to the Kananaskis to play with OC1’s and the other half went to a nearby lake to sail and practice some flat water skills. Some of the drops on the Kananaskis were huge with great names like the ‘Widow Maker’. Our second trip was on the Red Deer River in Alberta. The Red Deer River is more like a British river. It is technical but on a much larger scale. This trip covered around 80 km over 4 days. How big was the water compared to the rivers back home? Most of the rivers are glacier fed so can be cold but as it was summer, the air temperature was warm. Most of the group wore shorts and some wore semi-dry suits. The Kananaskis is a damn fed river but we chose to wear dry suits on both days as we were swimming and playing quite a lot. It is class II-III with a couple of class III+ drops. As you can imagine everything in Canada is bigger than back home. Did you have many swims? There were a few swims at some of the bigger drops. Most of the swims happened on the day on the Kananaskis as we were pushing it quite hard and generally messing about surfing waves and stuff. We had spent our first day practicing swimming and rescue techniques anyway so everyone was pretty confident with rescues and white water swims. The trip got off to bit of a rocky start on the first day on the Red Deer with a canoe getting pinned on a submerged tree. What were the campsites like? Campsites were very remote but handy to the river. There are official campsites and wild campsites. Some have fire pits and wood and some have picnic benches. About half the group slept in tents and the other half opted for hammocks. Did you have to book the campsites? Most of the sites have an honesty box where you complete the booking form and drop your payment into a box. The Rangers come along every so often and collect the forms. It just so happened that a Ranger appeared at one of the campsites we were at and checked that we had paid. How did you keep yourself busy at night in the campsites? A couple of the group were Ray Mears fans and had all the bush craft gear including a large selection of axes, knives and whittling tools. Needless to say that if you intend to do a bit of whittling then a good first aid kit is a must. I had at least 20 cuts on my hands by the end of the trip but do have a new spoon and a miniature canoe. Even though we had had our bear awareness presentation and had our bear spray they were the main concern. We only had 2 sightings of bears, both during the shuttles. One was a huge grizzly male and the other a large black bear. The campsites had to be kept very clean and all foodstuffs and in fact anything with an attractive smell had to be put in a barrel and hoisted up a tree above bear height every night. You could hear rustling around the campsite during the night but no one was brave enough to venture out of the tent to see if it was a bear or simply a rat or racoon. The day the Ranger visited, he informed us that there had been a sighting of a pack of wolves in the area. We all thought that he was winding us up but when we heard howling in the distance later that night, there were a few nervous campers in the tents that night. How remote were the trips? Both trips were 4 days each and our only means with contact with the outside world was by satellite phone. There were escape points factored into the trip but we were pretty much self sufficient as the vehicles were at the start and finish points. Would you recommend a Canoe trip to Canada? Absolutely, Canada is a fantastic place to canoe. You only have to look at the photographs to see how beautiful it is. It was definitely the best canoeing I have ever done. If you get a chance to go then you must.